La Quinta Olive Oil Company’s founders, Pete Petrafeso and Deb Degen, started the business after traveling through Pete’s ancestral home of Italy and sampling the many olive oils available throughout the country’s farms and vineyards. It was there that the two developed a passion for olive oil. After witnessing a friend’s success with his olive oil business in Colorado, Pete and Deb decided to use their culinary experience to bring a taste of the Mediterranean to La Quinta, CA. Today, La Quinta Olive Oil Company remains committed to providing an authentic Mediterranean culinary experience to customers. When you shop our store, you’ll find an array of authentic Italian imports such as flavored olive oil and delicious balsamic vinegar. Our products make the perfect gift for the food lover in your life or a wonderful treat for yourself! Customer service is of utmost importance to use. We look forward to helping you find the perfect item for your needs. We can help you find the perfect recipe for your oils and kinds of kinds of vinegar, including vinaigrettes, pasta salads, and even desserts. Of course, our olive oil is also delicious served as a dip for bread. In addition to fine artisanal olive oils and kinds of vinegar we offer great gifts for any occasion. Here at La Quinta Olive Oil Company, we bring the robust flavors of the Mediterranean to your table. 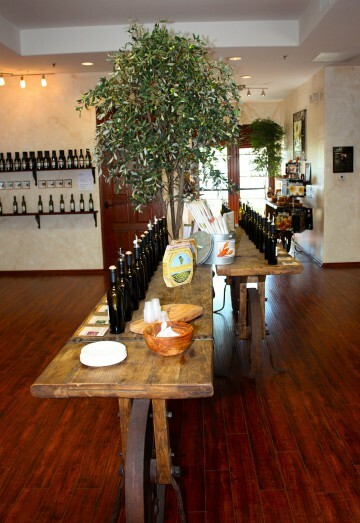 Give us a call today to learn more about our delicious olive oil and vinegar offerings.